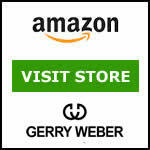 Originating in Germany Gerry Weber started life as just a premium clothing brand. In order to strengthen its proposition, the company started offering a wide selection of shoes, boots, sandals. trainers and bags in 2007. Trading under its own name, the company which started manufacturing in 1973 is based in Halle in North Rhine-Westphalia. Started by Gerhard Weber himself it is now headed by Ralf Weber. The brand itself is owned by Gerry Weber International AGNeulehenstrasse 8, Halle, Germany as you can see on the brand registration page. They also own other brands under which they make fashion footwear and clothing: Taifun, Samoon and Hallhuber. As well as making great fashion the company also owns its local sports stadium which seats 11,500, that’s what we like to see – a bit of action in the local community! The company is enormous and is quoted on the DAX which is the German stock exchange. Last year earnings were in excess of €900m. With 1260 shops managed by the company, 2450 shop-in-shops and 270 franchises around the world, it is one of fashion’s great success stories employing nearly 7000 people worldwide. The shoe collections perfectly complement the fashion lines. The company’s team of designers work very closely together to make sure that the palettes used on the clothing side are harmonised with those used in the footwear. Special touches are then used to bring the collections alive! This is then combined with the use of high-quality materials, comfort-fitting technology and sophistication to create the most stunning pieces season after season. 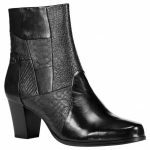 Where can I buy Gerry Weber Shoes in the UK? The brand is available from a wide selection of independent Gerry Weber UK stockists and department stores around the UK and online. Hoopers is one of the stores which is close to our head office and you can find the full store list on their very handy to use store finder. They do sell them in John Lewis as well as a few other stores but their Uk distribution has been cut back quite considerably. We are bringing you a selection of retailers where you can buy the brand. In the meantime, of course, one of the best retailers is shown below. What Are Gerry Weber Shoes Made From? A lot of brands go on about making their Women’s shoes from the best materials available but in this brands case and it’s the same with Paul Green, it really is true. The company really does source the best leathers from around the world to make their footwear. Supple calf leather is combined with a top grade leather or textile lining to bring you the best quality possible. The upper is then combined with high-quality rubber or resin outsoles cemented in manufacture. Additional comfort features like removable comfort footbeds are also incorporated into some of the shoes. Emphasis is placed on quality and comfort as you would expect from one of Europes’s best selling brands. These have become a bit of a thing and are always in high demand. We feature some of the collections below so you can get a real feel for the brand and its look. You can see that the boots are quite traditional with the focus on quality. 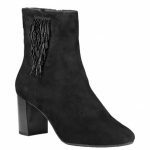 Top grade suede is used on the Vocab and Amelie with the latter having a fetching fringe. 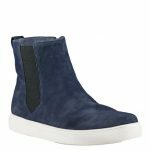 They have a great selection of trainers or sneaker and the high-top below is just one example. 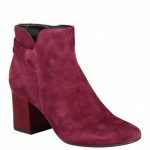 View All Ankle Boots online. The company has a great selection of videos to view including the one below. It features the Czech model and actress Eva Herzigova who flirts with teh camera as she shows the clothing and footwear. The description in English reads: “Picturesque landscapes, azure sea and the breathtaking beauty of the coast … Let yourself be carried away by the dreamlike Côte d’Azur”. The clever thing about the bag collection is that they have made them to perfectly complement the Ladies’ Footwear. Not overpriced, oversized or oversold, they are just the right price with a degree of scarcity. You don’t want your next door neighbour or girlfriend swanking around with the same bag as you do you? Shoppers, totes, open eyes totes and shoulder bags from £25 to £125. 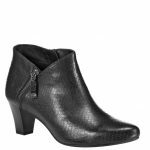 How Much Do Gerry Weber Shoes Cost? The small cosmetics bags are the cheapest rising to the higher prices for a leather shoulder bag. Have you seen the Paul Green Shoes range?